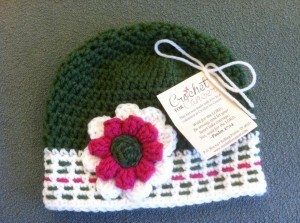 Morse Code Hat - Crochet for Cancer, Inc.
Rounds 7-15: Ch 3, dc in each dc around. Tip: Drop main color on row 10 and work remaining rows with contrasting color. Round 16: sl st in each st around. Join and end off. Dashes: Using a yarn needle, stitch back and forth though every other dc on rounds 10-15. Please remember that the dashes will make the cap much tighter so it is best to leave enough yarn so that it will be able to stretch. Tip: Place the cap on a mannequin head while stitching the dashes. This will help with the tightness. If you have any questions please email us at info@crochetforcancer.com.